The game of football is under serious scrutiny. This is mainly because of the serious problems caused by head injuries such as concussions. Many football players from the NFL down the the high school and pee wee levels have sustained concussions and now with the discovery of CTE (Chronic Traumatic Encephalopathy) the dangers of football have become even more apparent. In a study by the Concussion Legacy Foundation, as of Oct. 18, 2016, 91 percent of football players (138 out of 152) studied at the VA-BU-CLF Brain Bank who played in college have been diagnosed with CTE. Almost two-thirds of that group went on to play professional football. College football participation was compiled from public records and interviews with family members. Concussions being so difficult to diagnose as well as athletes not wanting to come off the field can lead to athletes staying in the game while concussed as well as going undiagnosed at all. CBS Sports’ Jon Solomon stated in a recent article that by their very nature, athletes are competitive and want to keep playing even when they sustain concussion-like symptoms. The country saw that when woozy Michigan quarterback Shane Morris waved off coming to the sideline after a hit to the head. Michigan, which said Morris was diagnosed with a concussion Sunday, has apologized for allowing him to continue to play. 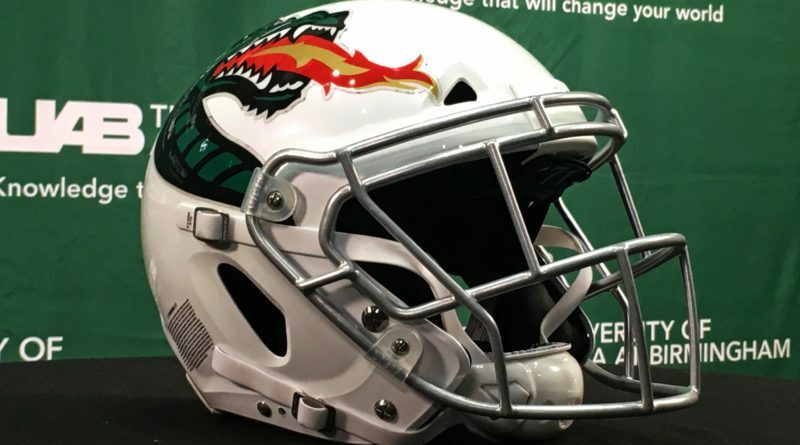 The football equipment manager at UAB (University of Alabama Bermingham) Gage Whitten said that there is very promising research in the field of concussions. The days of playing through concussions are over. Head injuries in football have always existed. Today injuries such as skull fractures are very rare thanks to today’s helmets but concussions are still a major problem at all levels. This has lead to schools getting new helmets with new technology inside them. This new innovation has been lead by Vicis, a Seattle based helmet company being endorsed by athletes such as Seahawks linebacker, Cliff Avril. Avril said in an interview with Business Insider, “you don’t feel the thuds as hard as they normally are.” Seahawks fullback Marcel Reece said that on actual impact it is a little more comfortable. You don’t really feel that initial movement in there. The give in helmets spreads the energy of the hit throughout the helmet and head causing for less impact to ultimately be felt. NBC contributor Ryan Basen says that Vicis helmets have a soft thermoplastic outer shell that compresses like a car bumper upon impact to soften and distribute forces; inside, there’s a layer of collapsible, column-shaped structures that twist and buckle to further cushion the blows. The helmet is expected to go on sale next fall. Basen also said that Windpact, a Leesburg, Virginia-based company, is developing foam padding for helmets that works like an automobile airbag to absorb blows . The padding compresses to disperse energy from collisions and reinflates afterward so that the player’s head is protected from the next blow. Despite these facts, why do so many people still play the game and let their children play the game? Football gives kids opportunities they otherwise would not have had. As well as learning valuable life skills such as accountability, hardwork, and overcoming adversity. The bonds made in football can lead to lifelong friendships as well as give kids role models that they would have otherwise never had. “I believe there’s practically no other place where a young man is held to a higher standard. Football is hard. It’s tough. It demands discipline. It teaches obedience. It builds character,” Coach Harbaugh says. “In life, like in football, the easy route is rarely an option,” Steve Alic said in a recent article with USA Football. Coach Harbaugh says that football is a metaphor for life. This game asks a young man to push himself further than he ever thought he could go. Alic said that studies show that being physically active through football lowers body fat, strengthens muscles and increases the likelihood of continuing good health habits later in life. “Adrenaline rushes from playing football help with stress release, so players are more calm and less prone to depression and aggressive behavior in life outside the field,” healthfitnessrevolution.com said. “Football introduces young players to new social groups and to a set of coaches who serve as role models,” Alic says. Healthfitnessrevolution.com said that even though teams play only one game weekly, they practice five days a week. That means that as long as you make a commitment to put in the hard work during the week, the success and results will show on game day. Instilling this kind of work ethic helps players improve their skill level and learn the plays. Harbaugh said that Billy Graham once said, “One coach will influence more people in one year than the average person will do in a lifetime.” My dad also says all the time that it just takes one person to believe in a young man or young woman to change their lives. “I couldn’t agree more,” Harbaugh said. Harbaugh said that Football is a great sport. Football teams can be, and very often are, the catalyst for good in our schools and our communities. Millions of young men have learned lessons in football that they could only learn through playing this game. Football has saved lives.